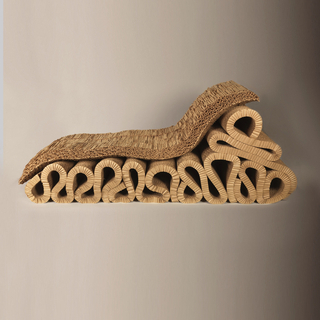 See more objects with the tag interior, decoration, seating, foliate, serpentine, pierced, swirls, cascade, velvet. See more objects with the color maroon darkslategrey saddlebrown or see all the colors for this object. 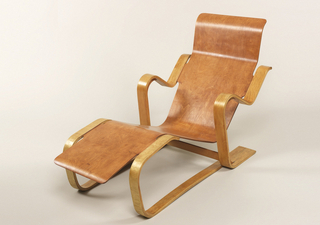 This is a Chaise. 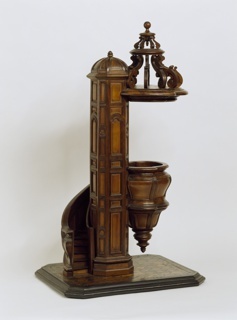 It is dated 1860–70 and we acquired it in 1937. Its medium is rosewood veneer, oak (frame), velvet upholstery. It is a part of the Product Design and Decorative Arts department. Rococo revival styles were at their peak in the mid-nineteenth century, accompanied and enhanced by the development of laminated wood. 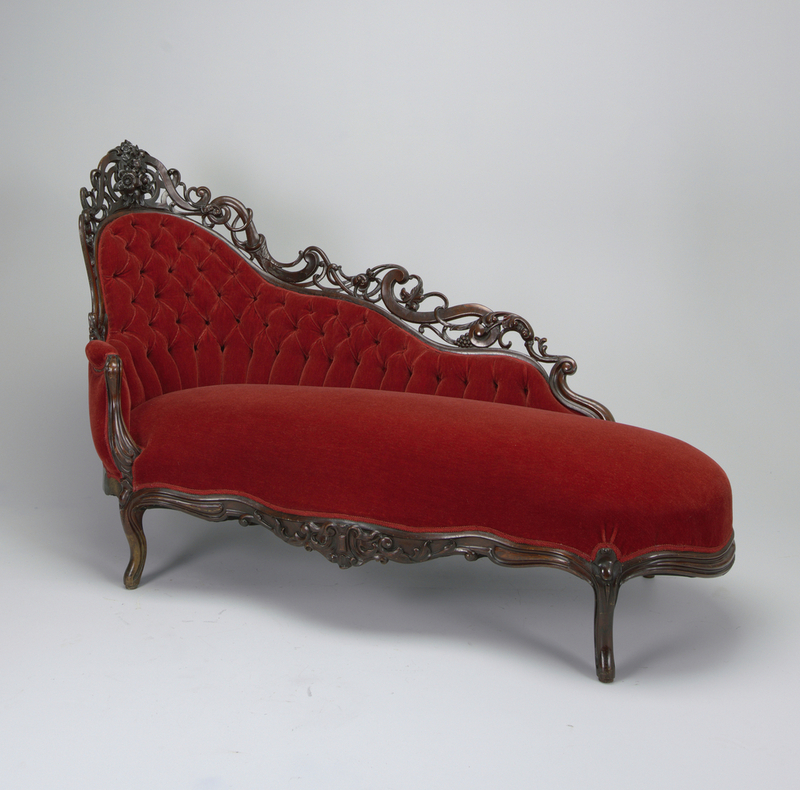 The curving, pierced crest rail on this chaise is a product of this technique, which gave furniture makers access to thick yet pliable wood for heavily carved decoration. This chaise’s curving cabriole legs, pierced motifs, and tufted cushion express an exaggerated version of the French rococo style of the eighteenth century through new technology. This object was catalogued by Calvin S. Hathaway. It is credited Gift of Mrs. Edwin Gould.